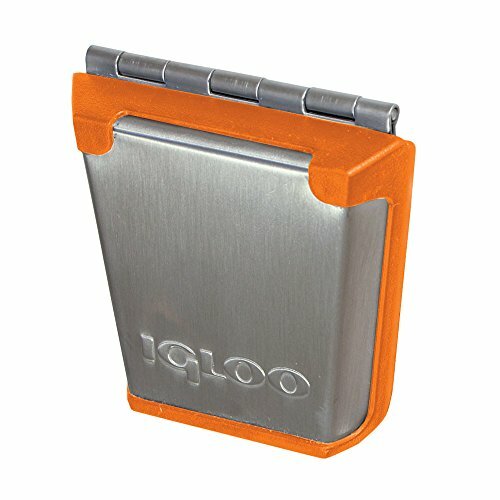 Igloo Stainless Steel with Orange Latch includes: 1 orange latch, 1 post and 3 screws. Fits all sizes of Super Tough or STX coolers, or any 50 to 165-quart rectangular Igloo cooler equipped with latches. Stainless steel hinge is rust resistant and durable for long cooler life. Beveled latch edge deflects impact, reducing chance of breakage. Interchangeable with all current or original style Igloo latches. Made in USA.